Founded in 1832, Gettysburg College is located in the historic town of Gettysburg, Pennsylvania. The college takes great pride in the role Gettysburg played in shaping American history. The Battle of Gettysburg took place a short walk from campus; what once served as the hospital for both Confederate and Union soldiers is currently the college’s admission office. On the 2nd day of freshman orientation it is tradition for the entire class to walk to the battlefield and witness a re-enactment of the Gettysburg Address. Despite a movie theatre and a 7-11, walking down the streets of Gettysburg feels like a step back in time. That said, students do not feel stifled, and they don’t run out of things to do. The school does a great job of providing ongoing campus activities with close to 800 scheduled events each year. Gettysburg College’s academic honor code calls for students to behave with “honesty and integrity in all academic endeavors.” Further, it precludes professors from proctoring exams. While the honor code is deemed “academic,” students are quick to point out that it spills over into all aspects of student life, creating a spirit of respect, cooperation, and collaboration. For the most part, students feel there is a sincere trust as a result of this policy. When an infraction occurs, it is methodically handled by the student-elected Honor Commission. Students are required to live on campus for the first three years. Accommodations include traditional dorms, apartment complexes, special interest houses, and fraternity houses. Although there are sororities, they are not residential. Seniors tend to continue to live on campus as it is not only cost-effective, but convenient. The community bond also plays a big factor in seniors choosing to remain on campus. When students arrive on campus they meet their academic advisor, who will act as their mentor throughout their four years at Gettysburg. Additionally, students and professors alike are quick to point out that it is not unusual for a student to develop close working relationships with multiple professors and faculty members. 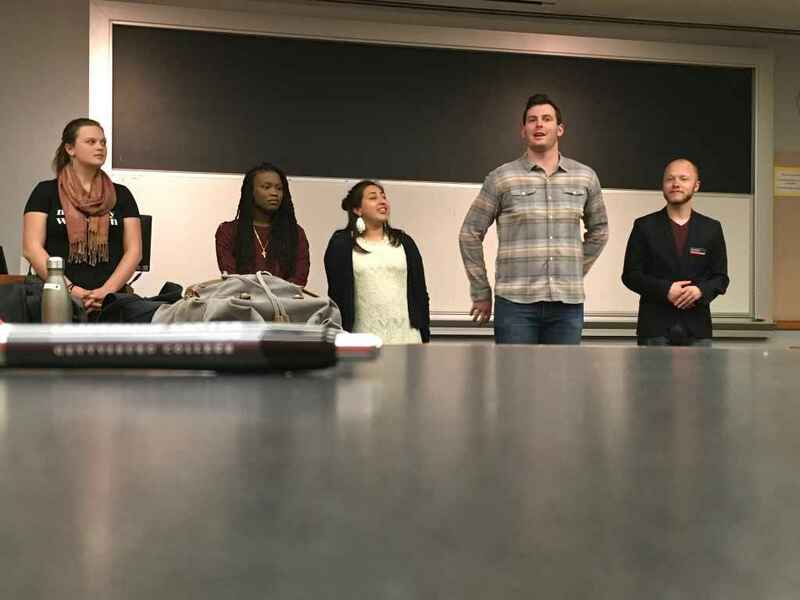 One professor told me that he acts as an “unofficial mentor” to many of his students. Gettysburg’s career development office goes hand-in-hand with academic advising. Nearly half of freshman actually use the Center for Career Development to help them map out their academic and internship plans. The number rises exponentially each year as students become increasingly immersed and focused on their futures. Eighty percent of students will hold at least one internship prior to graduation. Other opportunities for student engagement take place in the form of job shadowing, externships, career dinners, networking events, and career immersion. Alumni are very engaged and enthusiastic about offering these opportunities to fellow Gettysburg students. The college does not want finances to create a barrier to participation in these programs and has funding earmarked specifically to afford every qualified student access. Because of this commitment, the Princeton Review ranked Gettysburg College 11th in the nation for internship access and participation. Another hallmark of Gettysburg College, and something of which they are especially proud, is their global learning initiative. Over 60% of students study abroad for at least one semester, and it is not at all uncommon to do multiple semesters. “It’s not if, or when, you will go abroad, it’s where” said Rebecca Bergren, Dean for Global Initiatives & Director of the Center for Global Education. Students from all majors participate, and they comfortably graduate in four years. 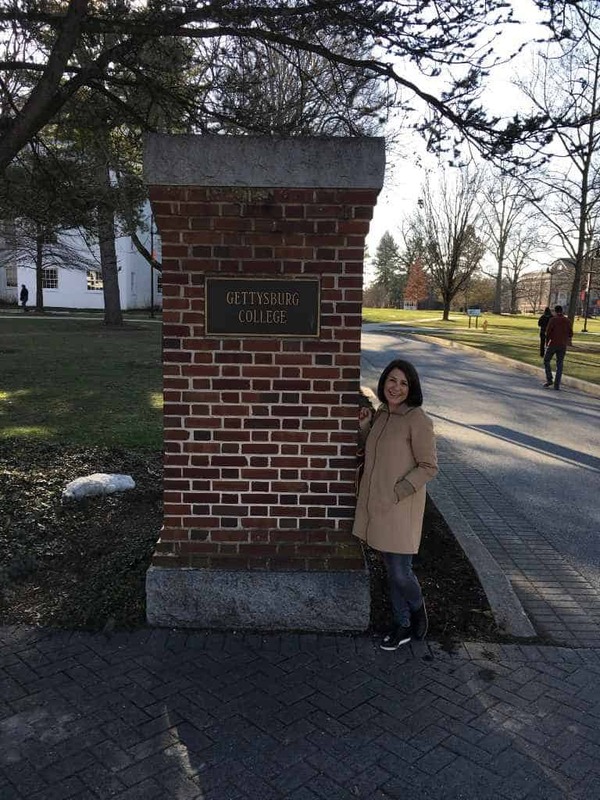 Just as with internships, Gettysburg College ensures that study abroad is accessible to all students in “good standing” and who want to have a study abroad experience. There are over 100 programs in over 30 countries. The Eisenhower Institute, founded on the principles of President Dwight D. Eisenhower’s legacy of leadership, is an amazing opportunity for students to learn about the inner-workings of public policy and leadership. Through discourse, research, and travel experiences, students learn first-hand how policy is shaped. Women in Leadership, Inside Politics, Environmental Leadership, and Strategy and Leadership in Transitional Times are a few examples of programs offered. Students must apply to a specific program within the EI; it is a fairly competitive process. In addition to the home office in Gettysburg, there is also an office in Washington DC, mere steps away from the White House. This is of huge benefit to students as they have access to experts and resources beyond the college campus. 600 student athletes compete in Gettysburg’s 24 Division 3 NCAA teams in the Centennial Conference, competing against schools like Franklin & Marshall, Dickinson, Swarthmore, Bryn Mawr, and Muhlenberg. Gettysburg has been awarded The President’s Cup, honoring the top athletic program in the conference, 19 of the past 24 years. There is also an extensive club sport and intramural program; 90% of the student body is involved in campus recreation. Housed within an intellectual and rich liberal arts curriculum, The Sunderman Conservatory of Music offers three undergraduate degrees: Bachelor of Music in Performance, Bachelor of Music Education, and Bachelor of Arts in Music. They also offer a music minor. Admission to the Conservatory is competitive and audition based. From marching band to Jazz ensemble, there are plenty of opportunities for majors and non-majors alike, to participate in the rich tradition of the performing arts at Gettysburg College. Gettysburg College uses the Common Application and admission is completely holistic. Great value is placed on the potential a student has both inside and outside of the classroom. Admission officers look for students who are passionate, driven, flexible, resilient, and communicative. The administration is making a conscientious effort to increase diversity; of the 2,700 students here, 20% are students of color. The student body comes from 40 states and 35 countries, with the largest percentage of international students hailing from China. 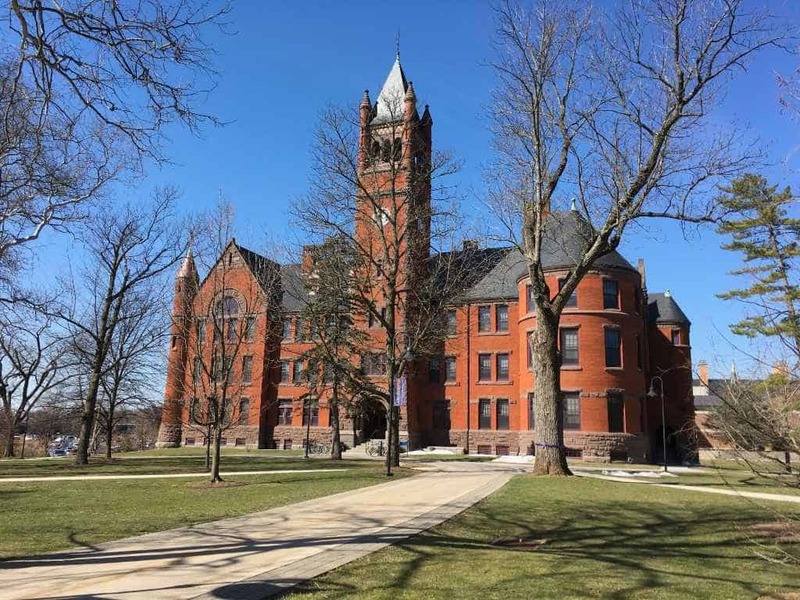 Gettysburg College is test-optional, and offers binding Early Decision I and Early Decision 2 admission options for applicants for whom Gettysburg is their top choice. Debbie visited Gettysburg College in the spring of 2017; you can scroll through her photos below.